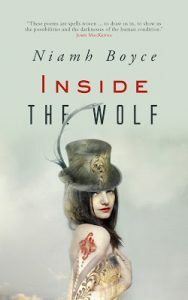 A big welcome to my blog, Niamh, and congratulations on the publication of your début poetry collection Inside the Wolf. Thank you so much for this interview Nuala, it’s great to get the opportunity to chat about the collection. Fairy tales are referenced hugely in your poetry, with several meditations on Red Riding Hood, among others. Where do these kinds of stories fit in your reading life; what’s the attraction to fairy tales and myths? I love so much about fairy and folktales – the magic, the strange creatures, the transformations, the danger, the dark woods. The attraction began with the Ladybird books of my childhood. My favourites were Red Riding Hood, The Elves and the Shoemaker, Sleeping Beauty, Beauty and the Beast, and Hansel and Gretel. I also read Hans Christian Anderson, which I guess were the first short stories I came across, as they’re not folk or fairy tales but invented by Anderson himself. The Little Mermaid, in particular, is one that stuck in my mind – it’s such a cruel story – giving up your voice, dancing on broken glass. What a masochist! Yet, Hans Christian Anderson was so nervous and careful of his own safety. When he travelled, it is said he carried a rope in his suitcase – so he could climb from his window in case of fire. The tales, his and the fairy tales are often simple but yet they strike at something in us, something essential – they must do, to have survived for so long. As I grow older, they’ve also become important to me as a writer –I love Catherine Orenstein’s powerful study – Little Red Riding Hood Uncloaked – which examines that tale under chapters such as ‘The Cross-Dressing Wolf.’ I am constantly inspired, intrigued, excited by the motifs and elements of that Tale – the colour red (the hood was added by Perrault, and not an original element), – the characters – the girl, the mother, the grandmother – (the woodcutter was a later addition, added to sweeten the story and save the girl) and, of course, the wolf himself. There is no end to the amount of times I could engage with this tale in particular – I always find a different angle, something relevant. It’s everchanging in the way a forest is, always different depending on the day and season and what path you chose, and no matter how well you think you know your way, you can always get lost. In poetry, more than any other form, I feel the freedom to get lost, to be the child, to be the mother, the wolf. You’re a visual artist as well as a writer and there are art poems here, about the trope of the naked female reader, others about works by Frida Kahlo and Harry Clarke. Can you talk about how your art feeds your writing, or what the links between the creative forms are for you? I think I could talk about this forever, but for now, there are three main aspects to how art links into my work. As a painter – when I started working with short stories, I had been trying to paint an image that kept recurring in my imagination – a girl crouched in a corner of a shed. But whatever way I approached the painting, it looked cliched, or twee, or else just messy – it wasn’t conveying what I wanted it to. Then, in one of the first short stories I wrote, that girl’s voice came to me, and she became the narrator of ‘Steps of Stairs’ – a story I wrote in one sitting. I didn’t need to make the painting after that. So, in some ways, writing has taken over from the impulse to paint or draw, but not completely – I would like to paint again, and its probably why I keep notebooks. For my most recent novel, Her Kind, I created a mini talisman – a tiny ‘book of witches’ full of drawings, clippings, images, and collages. I often miss the texture of paper, the ink sinking into the weave of a thick page. I’m also interested in art making as survival, in the act of stitching, and explore this in Inside the Wolf by looking at the work of Katherina Detzel and Agnes Richtar, who made art from what they had at hand, asylum gowns, mattress ticking, confined as they were in mental asylums. I’m interested in how the materials that are used, and the hands that make them, define whether something is considered art, or not. These factors often have more bearing on how a work is received, than the art object itself. What makes one assemblage High Art, and the other Craft? The trope of the naked female reader is quite hilarious at this stage, so I address that in ‘Teacher’, which begins – ‘I love to read naked/ by snow light…’ (like what woman doesn’t? If I’m not naked, I can’t really concentrate on the storyline…) After a lifetime of consuming art that locates the female human as an object or metaphor, there was always going to be, (what I see now as) ‘answering back’ poems – as in, Venus telling Titian off, in Mr Grey Hair, Yellow Teeth, Finish Me. So, there is that, but there also comes a point when you think, why am I engaging in conversation with the dead artist/patriarchal art world? Why am I speaking to the ‘them’ that made us ‘other’? So then, you move on to another stage, to other poems – once you have said what you needed to say, you step out of that arena, as in ‘The First Time She Painted Me,’ where both artist and subject are female, and the virgin drops the godchild, who shatters – because, as we know – He = God is the biggest fiction. To me, your poetry is feminist, funny and visceral. Do these descriptions sit well with you? Do you aim for these things when you write? I’m very happy with those descriptions, so thank you! I do aim to be visceral. And being feminist has always been the only logical option for me – which, I think, comes out strongly in the poetry. Though saying that, the poems are an expression of my interests and concerns, I don’t write with an agenda per se. So, I guess if they are feminist, it’s because I am – but I don’t know if the same thing happens in my novels, or at least to the same extent. As for funny – it’s not quite intentional, it’s something I’ve realised is a factor, through other people’s reactions to my work. I’m happy when something turns out to be funny, or a little startling, but it’s usually a happy accident. I found the strict rules of the society I grew up in quite ridiculous, so was always irreverent, though not always vocal. The silence came from fear. There was a real fear then, especially within the education system where almost everything was punishable. Every step out of place, even every look. I had one teacher, a nun – who did not like my expression. She would often make me stand in front of the class and would then shout ‘take that face off you’ – I didn’t know what she meant, I was only ten, but this would go on for ages, me trying to take whatever face I had on off, and her getting more and more infuriated. It would be funny, if she hadn’t been so violent. Sister Dolores – the head slammer. So perhaps humour was a survival mechanism; I came of age in eighties Ireland, when the most oppressive nonsense and cruelty was passed off as the norm, for your own good even. You published Inside the Wolf under your own imprint, Red Dress Press. Can you talk a little about the decision to bring the work to the world in this way? And will your press be publishing further titles? I approached a publisher whose work I respected in 2017, and they let me know that, if they were to publish the collection, that there would be a two-year wait. I knew my novel Her Kind was coming out in 2019, and as you know, that means lots of work for the author, and 2020, just seemed too far away. By this stage, the earliest poems in the collection were written sixteen years ago. I guess I was impatient to get the collection done; and knew it would be easy enough to produce myself. I like making things. 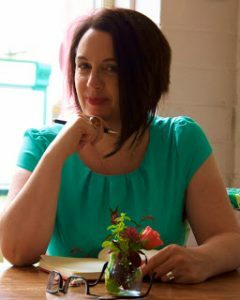 And I really enjoyed working with the cover designer, Jessica Bell – it was a smooth process that took less than a week. In terms of the poems themselves, I approached the writer Grace Wells to help me edit the collection that winter. She was great, very honest. It was her questions and feedback that helped me shape the collection, decide what to take out, and see where more poems might be needed. Editing the collection was a surprisingly creative phase – I ended up writing some new poems, and seeing an arc to the collection, seeing it as a sequence in itself. So, I really enjoyed the process, and would love to publish more work though Red Dress Press, another collection, or an anthology even – a few years down the line. What’s your writing process? Morning or night? Longhand or laptop? etc. I have a chaotic schedule at the moment, writing by night mostly. But my kids return to school next week – and I cannot wait for a proper routine, and a few hours of silence when the house gets back to half-normal. I plan to dedicate the early part of the day for writing. I like creating new work in the morning and editing or research in the late evenings. How I write is changing- I am at the laptop more, but I still like to get the first draft of a novel written by hand in an A4 Collins Notebook. Who is the writer that you most admire, the one you turn to for comfort or craft lessons? Which Irish poet/poem would you like to see on the Leaving Cert course? Jean Mc Conville was a Belfast mother of ten abducted in front of her children by the IRA in 1972. Some say her ‘crime’ was that of comforting a dying soldier. For over thirty years, she remained one of the disappeared, but in 2003, her remains were finally discovered at Shelling Hill after a storm. I would like to see Paula Meehan’s powerful and beautiful poem ‘At Shelling Hill’ on the course. What/where is your favourite bookshop? Charlie Byrnes in Galway, I spent fifteen years living in the city, and most of my reading material came from that gorgeous eclectic book shop. It has a wonderful atmosphere, old style and chilled. I love browsing and it’s the perfect bookshop for a browser. I discovered so many authors in there, writers I never knew existed. That’s the real joy of a bookshop in comparison to ordering online – the element of surprise, the whole atmosphere, the spines, the beautiful covers, and sometimes, dedications of love written on the inside pages. What advice would you offer novice writers about the business and the craft? 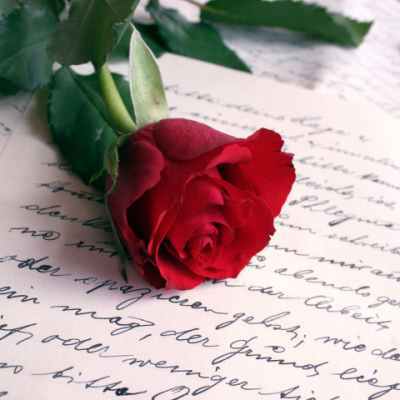 Write what you absolutely love to write. Do not compromise. Do not look to trends. Decide on your own credo. Why do you write, what really matters to you? Write it out, keep it safe – and read it later if you become disheartened or disillusioned. It will keep you grounded. Be prepared to work very hard. Writing books is harder than most people imagine, they think they have a clue – they don’t. Ignore social media. Or if you can’t – limit your time one it. Facebook has stolen as much writing time from me as my sleepless babies used to. Finally, Niamh, your second novel Her Kind will be published early next year by Penguin. Huge congrats and the best of luck with it and tell us what we might expect from the book. Thanks for having me over, Nuala, and for such great questions. Her Kind is a witchy book inspired by a real event – the Kilkenny Witchcraft Trial of 1324 – otherwise known as The Sorcery Trial of Dame Alice Kytler. The novel tells the story of Alice’s maid, Petronelle, and will be published in April 2019.